8 PM, Saturday March 29, wherever you are. Beginning in New Zealand, earth hour will roll around the world with people extinguishing their electric lights and non-essential appliances for one hour as eight PM arrives. This includes your computers folks. Try some candlelight. In North America cities turning out the lights include: Atlanta (including all City owned buildings), Chicago, Montreal, Ottawa, Phoenix, San Francisco (even the Golden Gate bridge will go dark), Toronto (the celebration includes an unplugged Nelly Furtado concert) and Vancouver. Street lights and hospitals will, of course, remain plugged in. Altogether some 371 cities, towns or local governments plan to participate. The big cities include Copenhagen, Rome; Mexico City, Bangkok, Dublin. Smaller places include Columbia Missouri and Harmony Florida. Big businesses such as Molson's and small non-profits such as the Morton Arboretum plan to unplug. And individual households in other places all over the world will switch off. Including many in Takoma Park. At the library and in the computer rooms we will do our best to turn off all our lights, computers, rechargers, and the various gadgets we sometimes leave on even when we are closed. Vernal Equinox coming up! 2008-03-20 05:58 It moves. Norooz, the Zoroastrian / Mesopotamian / Chaldean / Persian New Year was celebrated (and still is) for 13 days beginning at the moment of the Equinox. Want to celebrate the equinox with some sweet Norooz food? There are seven traditional dishes, each beginning with the letter sinn. About two weeks after the equinox comes Tomb Sweeping Day, Qing Ming Jie, which also follows the solar calendar. Celebrate by flying a kite. The original Earth Day was also celebrated at the time of the Vernal Equinox. Now it is more commonly celebrated some time in April. Because of the timing of the full moon, March 22nd, some lunar holidays will also come at about the same time as the spring solar ones. The Western Easter is the 23rd, because the timing of Easter is based on the full moon. (See note below.) 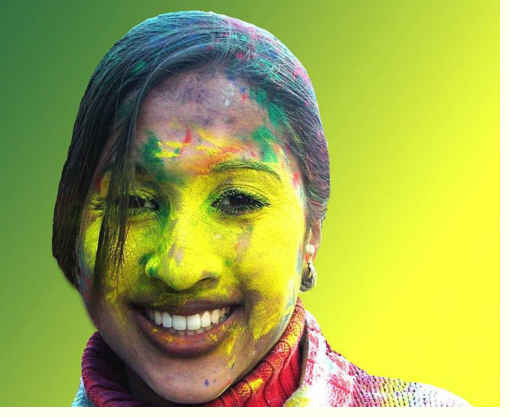 And Holi, the festival of colors, a lunar holiday like Easter, this year begins on the 22nd. We just passed a Gregorian Calendar leap day and this also happens to be also a leap year in the Hebrew calendar. But the Hebrew calendar has occasional leap months, not leap days, so this year we have two Adars and Passover starts at the next full moon - April 20th. Instead Purim will begin the evening of the March 20th. So you can nosh some Hamentaschen along with your Samanu, Karanji and Hot Cross Buns. Note: Dates for the Western Easter: the first Sunday following the first Ecclesiastical Full Moon (not the same as the astronomical full moon) following March 20. (March 20 was the equinox date in 325) Explanation.